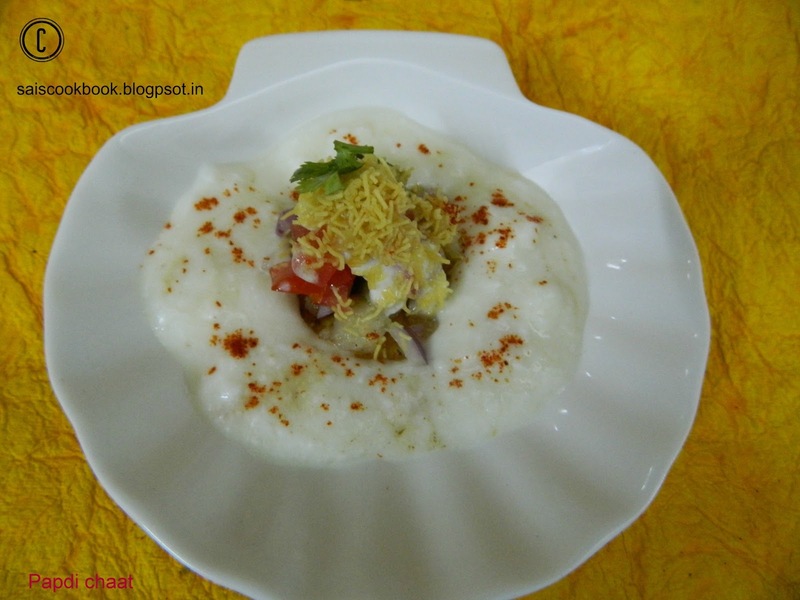 According to Tarla Dalal what we commonly know as sev puri in Mumbai is known as papadi chaat in Delhi.It is similar ,but not the same.Papadi chaat as the name suggests has lots of papadis,tossed in a blend of chutneys,curds and potatoes.Papdi or Papadi chaat is a popular street food of North India.I have used readymade papadis in the recipe.Would want to try home made papadi’s soon.Would always prefer homemade chaats over street ones keeping hygiene in mind.What say? 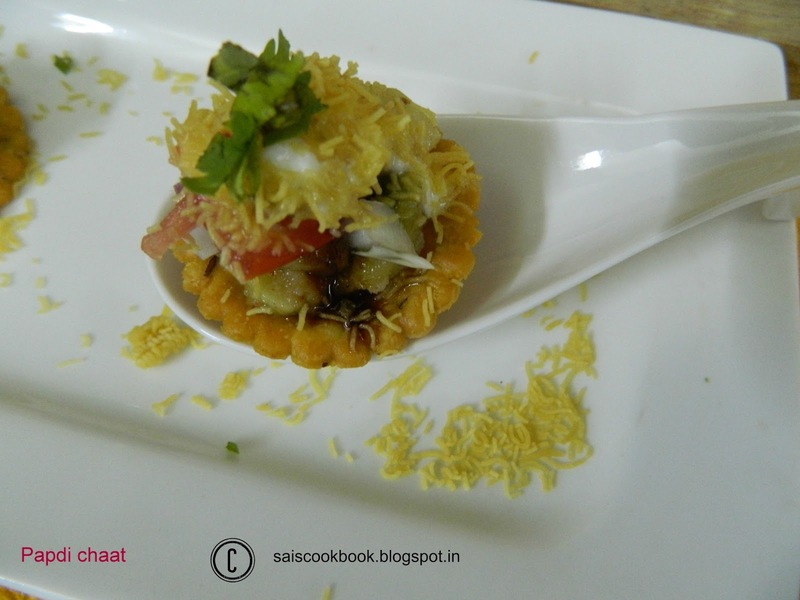 Place the papdi’s in a plate. 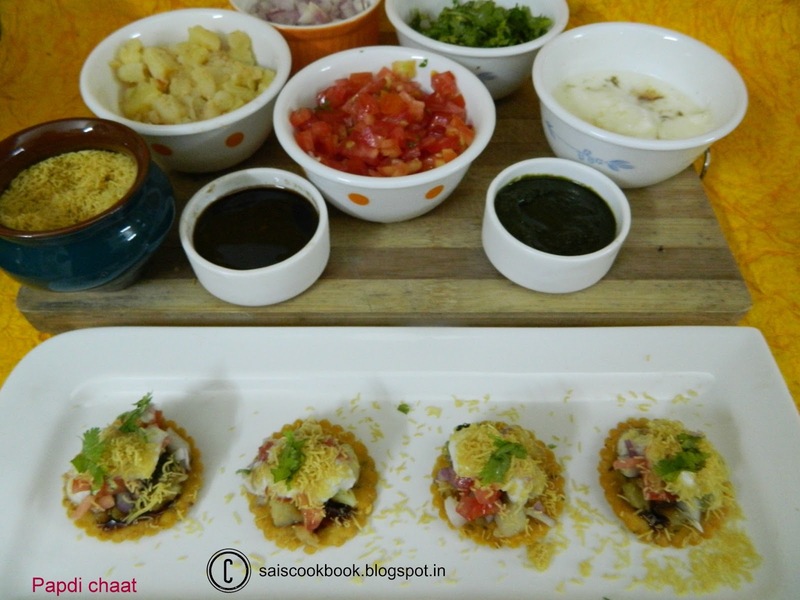 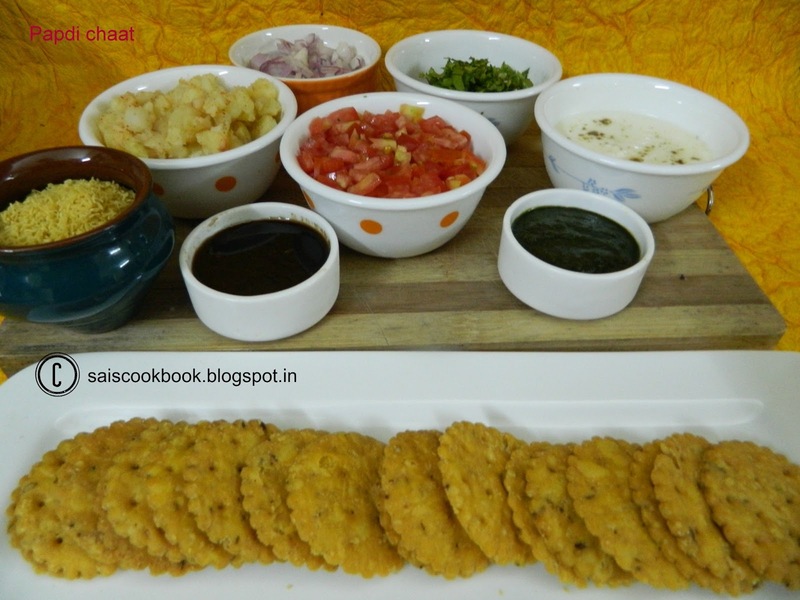 Top it with potatoes,green chutney,sweet chutney,onion,tomato,sweet curds,sev followed by coriander leaves.